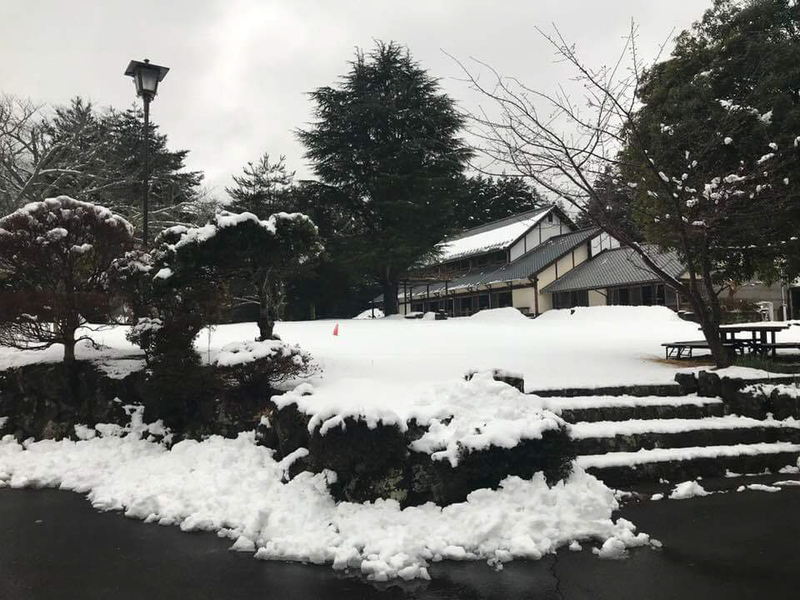 On a snowy weekend at Amagi Sanso Retreat Center in the mountains of Izu peninsula, 57 women gathered for a time of reflection and fellowship as an ecumenical community at the 61st Annual Women’s Conference on the theme of Changing with the Seasons based upon Ecclesiastes 3:1-8. 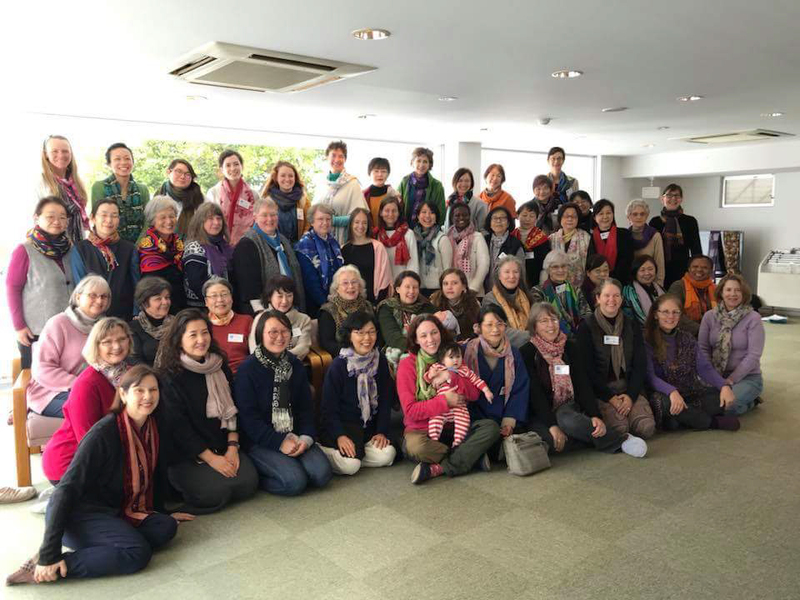 The women came from various communities located in Sendai,Gunma, Nagano,Tohoku, Tokyo, Yokohama, Saitama,Kobe, and Nara. The community ranged in age from two months to 80 years and holding – a true intergenerational gathering. The conference was divided into four sessions of Summer, Autumn, Winter and Spring. 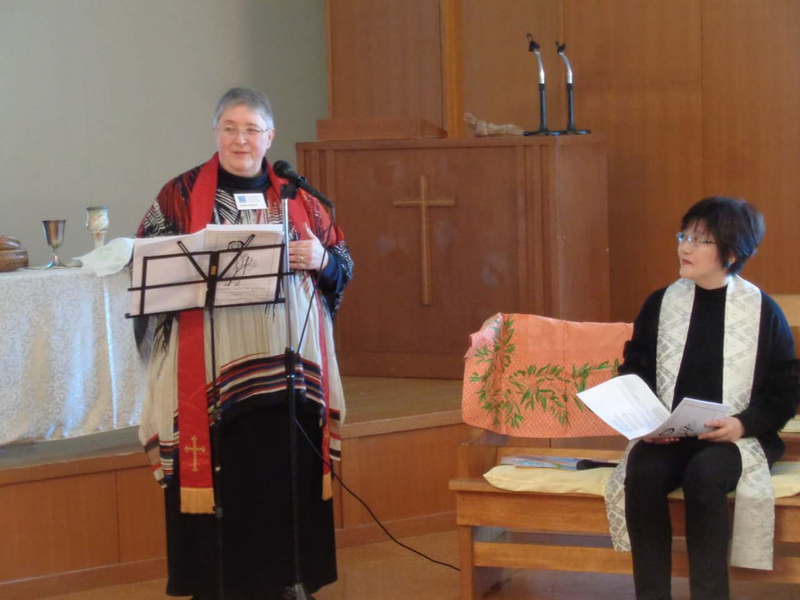 During each of these “seasons” – there was a time of sharing from Hydi Peterson who serves in Gunma as a missionary of the Evangelical Covenant Church. She outlined the poignant transitions and changes in her family’s lives through three generations of service in Japan dating back from 1928. Friday evening was closed with a message from Claudia Genung on Chronos (chronological time) and Kairos (the experience of God’s perfect timing). In the Autumn session, Kristin Newton shared an exercise of drawing emotions and how a pattern emerges regarding the shapes and colors used. Hydi shared that by participating in this powerful exercise the previous summer that she had been inspired to care for her ageing father and bring him back to Japan for an extended stay spanning a few months. 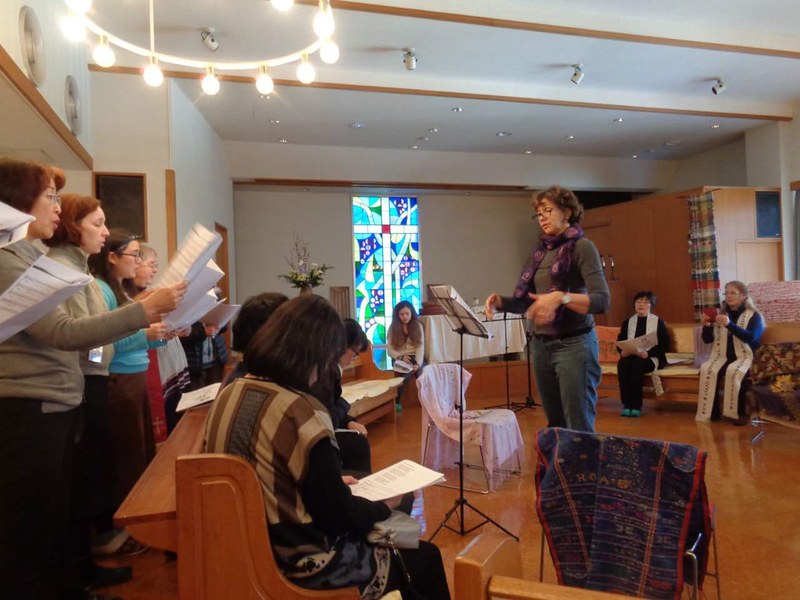 Saturday morning began with the Winter session in which Ms. Keiko Suzuki of Footsteps gave a presentation outlining the natural progression and response to change. Participants were given a time to reflect upon their own significant life changes and those persons who have impacted their lives. Keiko noted that transitions happen slowly, while changes happen quickly. 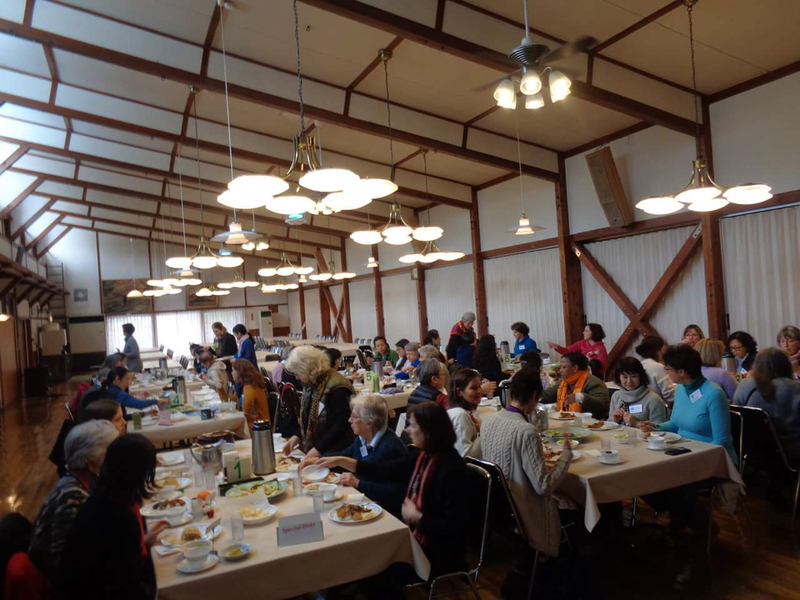 The Spring session was a Hanami celebration in which a talk entitled Cooking with the Seasons was given by Jill Sinclair Ito. 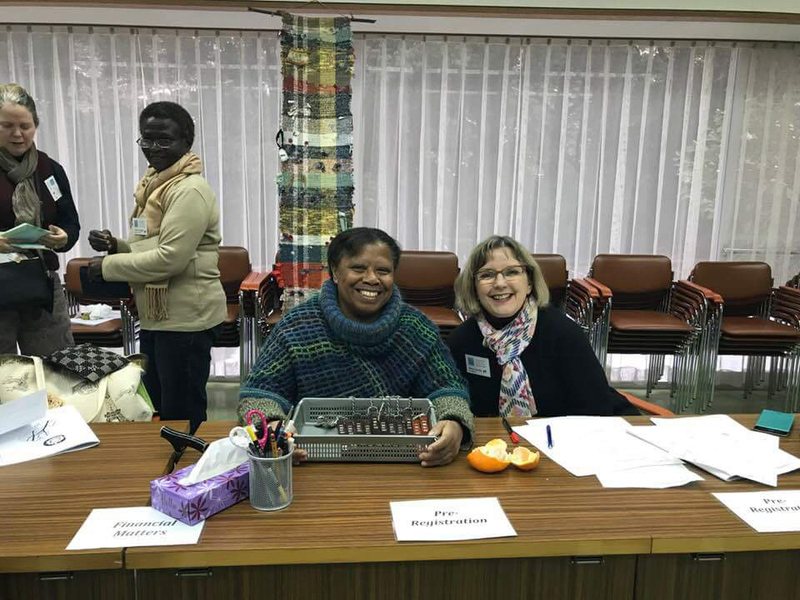 Jill wrote a column by the same name in The Japan Times and gave a wealth of health and wellness tips on this theme.Following Jill’s talk, haiku created during one of the　Saturday afternoon workshops led by Ruth Rogers were recited. Ms. Chami Nagai shared the moving　back story as well as excerpts from the children’s book Is God Nice written by her husband David Nagai. The book is an excellent resource to explain the love of God and Jesus to children and adults alike. Conference participants contributed seasonal photos, Bible verses and inspirational which were combined into a collective slideshow. These scenes were shown with background music played by Brenda HandelJohnson. Saturday afternoon offered time for workshops or outdoor walks. There is a nearby waterfall and Wasabi field. 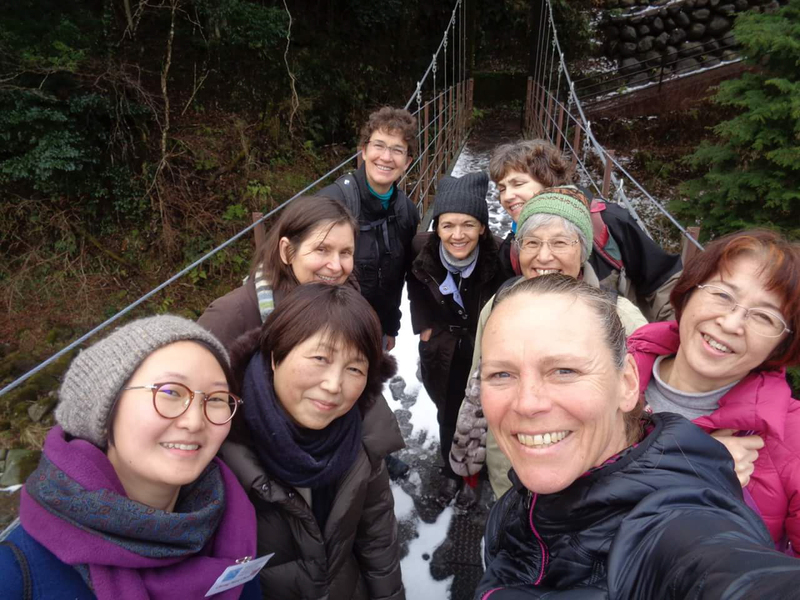 One group of women led by Hydi Peterson went on a local hike to an onsen. Workshops on widow hood, writing Haiku, dealing with tough times, yoga, children’s music and movement, a guided labyrinth prayer walk, drawing your self-portrait and storytelling were among the workshop options. Participants were invited on Saturday evening to write prayers for change in our lives, communities and world and have those dedicated on Sunday as an offering for change. After the benediction the South African freedom Hymn “We are Marching in the Light of God” was sung. Hennie Symington of TUC shares that it is not a militant hymn, but rather a song of taking a stand for peace, truth and justice. 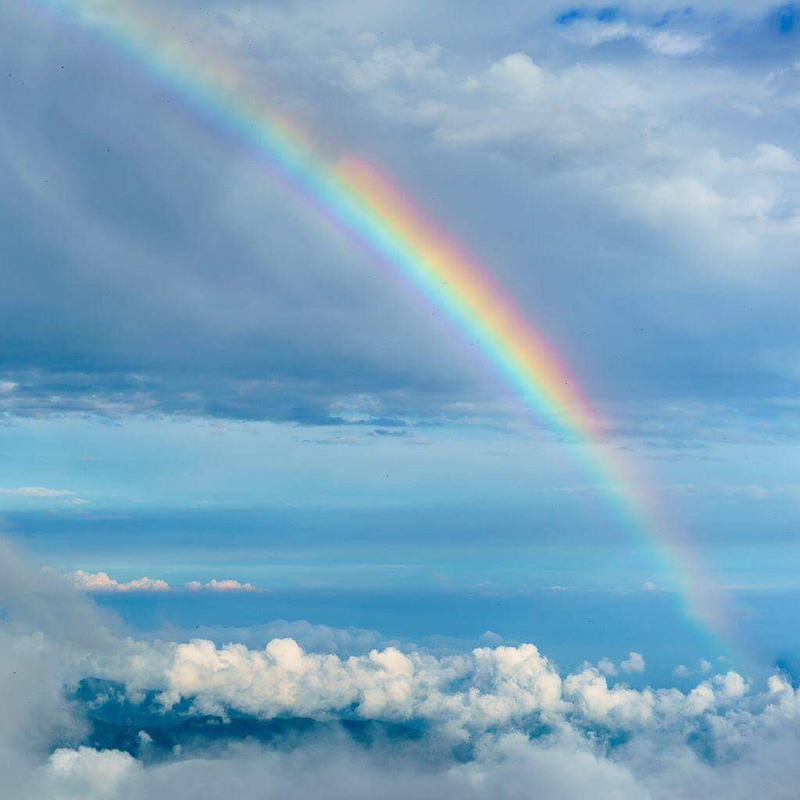 As the participants sang the final verse, “We are changing in the light of God”, there was a feeling of hopeful joy that God is with us as we change throughout the seasons of our lives. Plans are already underway for the 2019 conference which will be scheduled in late January or in February. Former TUC interim assistant pastor Rev. Gail Godwin Mundt has been invited as well as Benedictine sister Veronica Daniel’s. 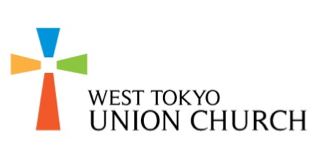 Please contact Sarah Oba (seira.oba@gmail.com) or Women’s Conference (info@woconjapan.org) for more information. Changing with the Seasons is the focus of the 2018 conference. Living in Japan, it is a natural part of life to move through four seasons of the year and to celebrate the natural bounty and beauty- sights, sounds, tastes, smells, and experiences~ that each season has to offer. Looking at our lives as seasons of change, how can we welcome, trust, and prepare for the inevitable life transitions ahead? What special significance does each season hold in your life journey? Are there seasons ahead that offer hope or concern? How does God speak to us through these seasons of change in our lives? Hydi Peterson: Born in Tokyo, Hydi is from a missionary family that has served in Japan for three generations. Hydi will share about the seasons of her family’s faithful ministry in Japan that have spanned from the late 1920s. Hydi and her husband Jim serve as co-managers of the Akagi Bible Camp a retreat surrounded by beautiful mountains in Gunma Prefecture. They have three grown children: Miles, Kendra and Eli. Hydi is also a sports referee and fitness enthusiast participating in trail running, tennis and triathlon events. Keiko Suzuki: As the founder of Footsteps, Keiko has dedicated her life to helping people from various walks of life to identify strengths and goals in order to forge new paths and beginnings. 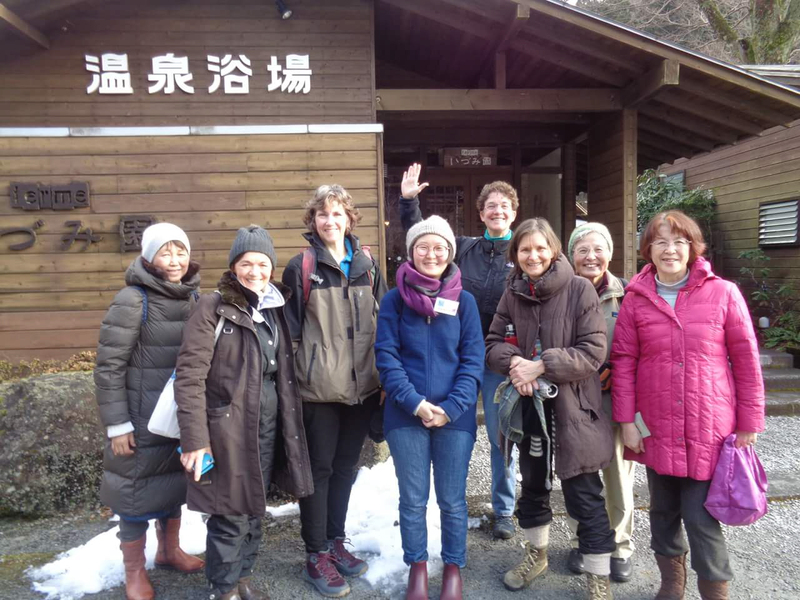 Keiko enjoys long weekends in the Nagano mountains spent with her Canadian husband and has a dream to develop a multicultural retirement community in Japan. Keiko has fond memories of Lake Nojiri and close family friendships, especially with the family of Phil and Tinker Williams. Kristin Newton: As a longterm resident in Japan, Kristin has been devoted to helping people of all generations and nationalities discover their innate artistic abilities. 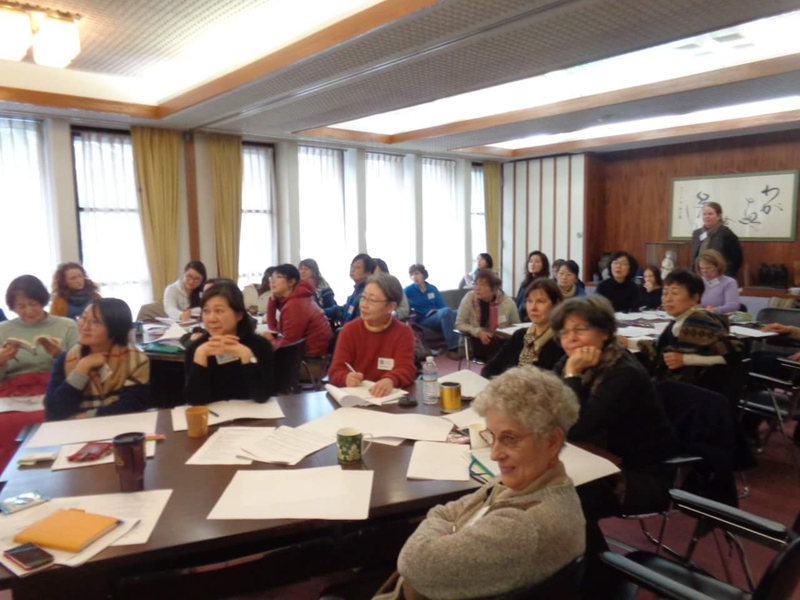 Kristin worked with Dr. Betty Edwards and taught Drawing on the Right Side of the Brain workshops in Tokyo. 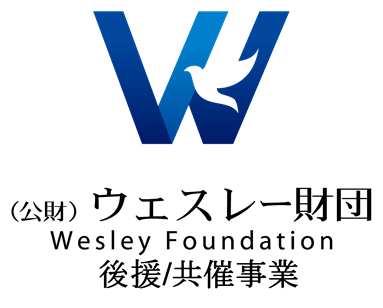 Kristin has attended Women’s Conference as a workshop leader and it is great to welcome her again as a facilitator for the 2018 life transitions team. Kristin enjoys making stained glass and silver jewelry and spends weekends in a coastal area of Izu with her husband Sho. 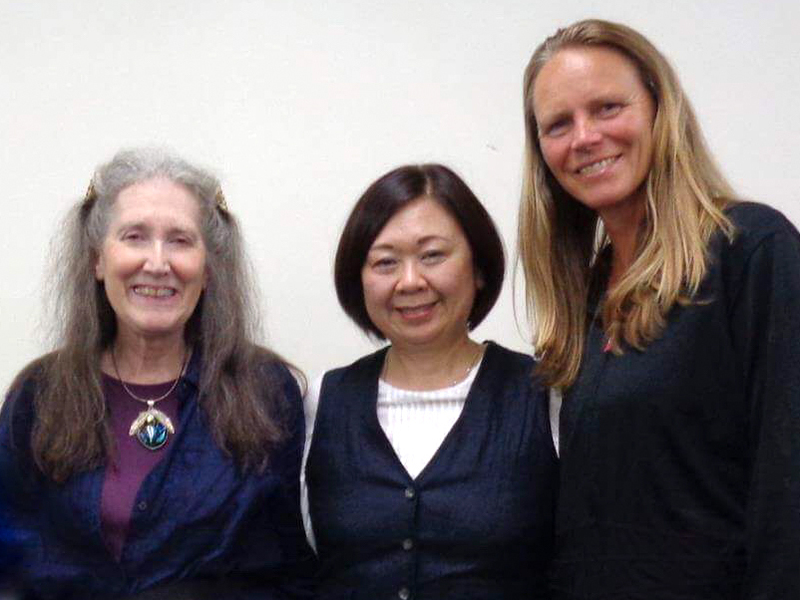 Facilitators, left to right: Kristin Newton, Keiko Suzuki and Hydi Peterson. The presentations are given in English, but some informal translation into Japanese is available. Childcare is not provided, but mothers of nursing infants are welcome to attend with their babies. These per-person rates include accommodation, six meals, conference program, and one onsen admission. BRING YOUR DAUGHTER (Age 14+)!